Fat, like protein and carbohydrates, is a principal and essential component of the diet. Fats and oils are predominately triesters of fatty acids and glycerol, commonly called triglycerides. When appearing as solids, they are called fats and when liquid they are called oils. What role does dietary fat play? Fat is the body’s most concentrated source of energy. Some dietary fat is vital to enable the body to function properly. Fat provides essential fatty acids necessary to the structure of cell membranes and prostaglandins. Fat is responsible for transporting “fat-soluble” vitamins A, D, E and K and contributes to satiety, flavor and palatability of the diet. Liquid vegetable oils are the major source of vitamin E in the diet. Should all fat be eliminated from the diet? No. Fat is vital to human growth and development. American men and women currently consume 34 percent of their total energy from fat. Health authorities recommend a fat intake of 30 percent or less of total energy for people. How can dietary fat be reduced? Dietary fat can be reduced by choosing foods and beverages that are low in fat (e.g., skim milk), leaner meats, using fats and oils sparingly, and by choosing reduced-fat foods that use a fat replacer in place of some or all of the fat. Fat replacers are ingredients that can replace fat in many foods and beverages. Why do we need fat replacers? Fat replacers provide perhaps the most promising new method for developing good-tasting, consumer-acceptable foods which can help consumers meet dietary recommendations for reduced fat intake. What are fat replacers made from? Most fat replacers currently in use are reformulations of existing food ingredients (e.g., starches, gums, cellulose). Additionally, by using the latest technologies the food industry has formulated a variety of new fat replacer ingredients. The fat replacers developed to date generally fall into one of three categories — carbohydrate-based, protein-based, or fat-based. Most fat replacers in use today are derived from existing food ingredients whose safety has been established with long-term use in the food supply. The Food and Drug Administration’s strict standards for approving new food ingredients ensures the safety of fat replacers. Can fat replacers be used by people with diabetes? Products containing fat replacers can assist people with diabetes in more easily adhering to a lower fat/calorie diet by providing a greater variety of good-tasting food choices. Do we need more than one fat replacer? The particular desired functions of fat needed to produce an acceptable product determine which ingredient(s) and processing techniques are employed. No one fat replacer is ideal for all uses — flavor/texture, lubrication, volume/bulk, or heat transfer. In some cases a single fat replacer may be the only ingredient necessary to achieve the desired function of the fat being replaced. In other cases a combination of fat replacers may be necessary. Also, fat replacers have varying degrees of success, depending on the specific application. In what products are fat replacers currently used? Fat replacers are currently used in a variety of products including frozen desserts, processed meats, cheeses, sour cream, salad dressings, snack chips and baked goods. They are frequently used to replace fat in products with a high fat content. In what products will fat replacers be used in the future? In addition to products currently utilizing fat replacers, in the future fat replacers may be used in home cooking oils and shortenings, and in commercial frying. Do consumers really want low-fat foods and beverages? Millions of consumers are trying to change their “high-fat” ways. One national survey conducted by Prevention magazine found that 56 percent of adult Americans are trying to reduce their fat intake. A separate national survey conducted in 1998 by Booth Research Services, Inc. for the Calorie Control Council revealed 188 million adult Americans (88 percent of the adult U.S. population) consume low- or reduced-fat foods and beverages. Do consumers really want fat replacers? A national survey conducted by Booth Research Services, Inc. for the Calorie Control Council shows that 56 percent of American adults believe there is a need for food ingredients which can replace the fat in food products. Also, the 2004 survey revealed 87 percent of reduced-fat consumers are interested in additional products. The most frequently mentioned categories in which users would like to see more products were: snacks/chips(60%), cooking oil(59%), cakes/pies/cookies/baked goods or pastries(59%) and french fries(53%). How can fat replacers, and the products they are used in, affect diet and nutrition? When incorporated into an overall balanced, nutritious diet, reduced-fat foods containing fat replacers can play an important role in helping consumers reach and maintain their goal of reducing consumption of dietary fat, cholesterol and calories. Fat replacers allow consumers to enjoy lower fat versions of their favorite foods. How can low-fat products help people attain dietary goals such as to reduce fat, cholesterol and calories? Fat replacers are opening the door for a new generation of reduced-, low- and non-fat foods that have the taste and texture of the high-fat foods consumers enjoy, but without the excess calories, cholesterol or fat. How many calories do fat replacers have? The calories provided by fat replacers vary. Carbohydrates and proteins have 4 calories per gram while fats have 9 calories per gram. Carbohydrate-based fat replacers therefore have four calories per gram but many provide significantly fewer calories, often only one calorie per gram, as used (mixed with water). Cellulose contains zero calories per gram. Microparticulated protein provides 1-2 calories per gram. Emulsifiers, fat-based fat replacers have 6 to 9 calories per gram but are used in very small amounts to achieve their goal. Other fat-based fat replacers (e.g., Salatrim and olestra) are absorbed incompletely or not at all and therefore provide few or no calories. Can fat replacers help consumers lose weight? The use of fat replacers facilitates the development of reduced-, low- and non-fat foods which may be significantly reduced in calories. 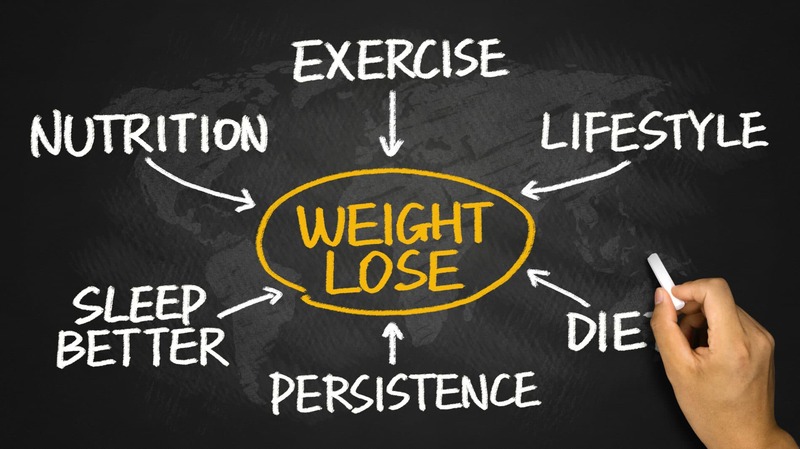 Most successful weight-loss plans call for a reduction in both calories and the amount of fat consumed. Reduced-, low- and non-fat foods and beverages, as part of an overall weight-control program, can help reduce calories and dietary fat, and therefore help consumers reduce weight. Low-fat products also provide weight-conscious individuals with a greater variety of food choices which can be easily incorporated into a lifelong sensible weight-control program.